1. 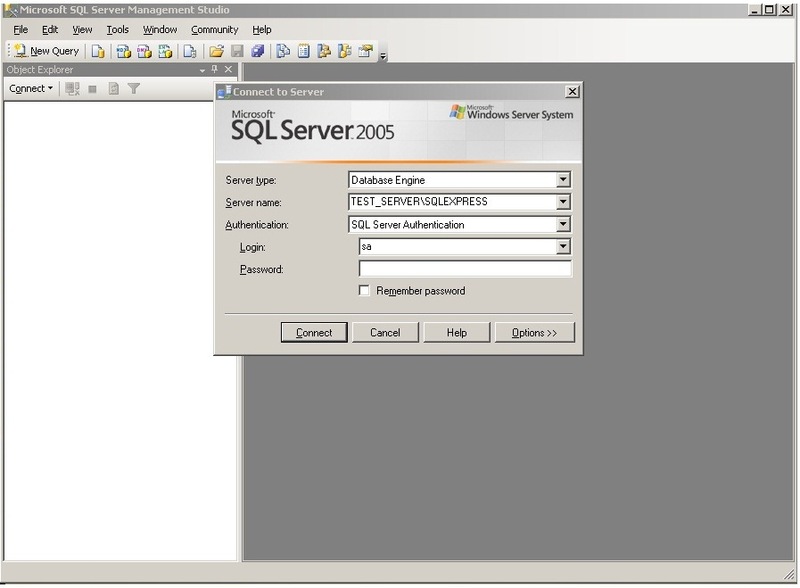 Go to Start>>Programs >>Microsoft Server 2005>>SQL Server Management Studio, Click SQL Server Management Studio. 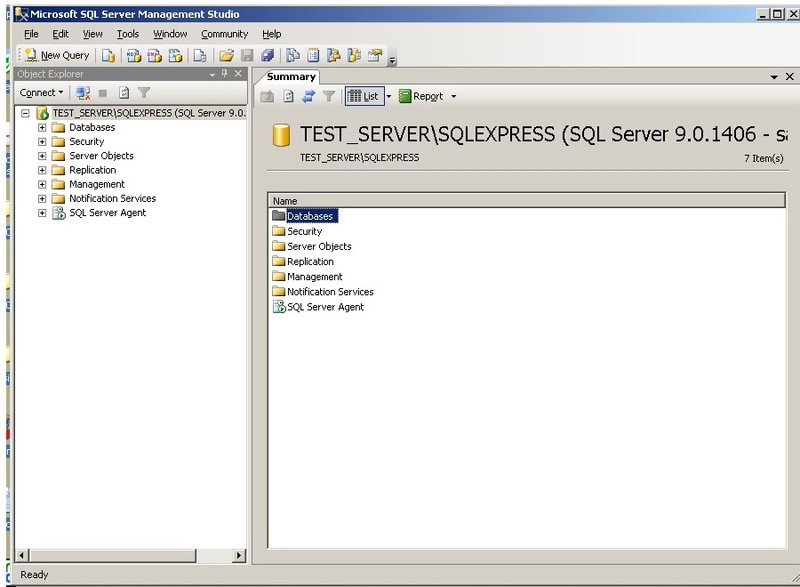 Microsoft Server Management Studio window with Connect to Server dialog box appears (see Figure 1). 2. Enter a password of the server in Password field. 3. Click Connect. 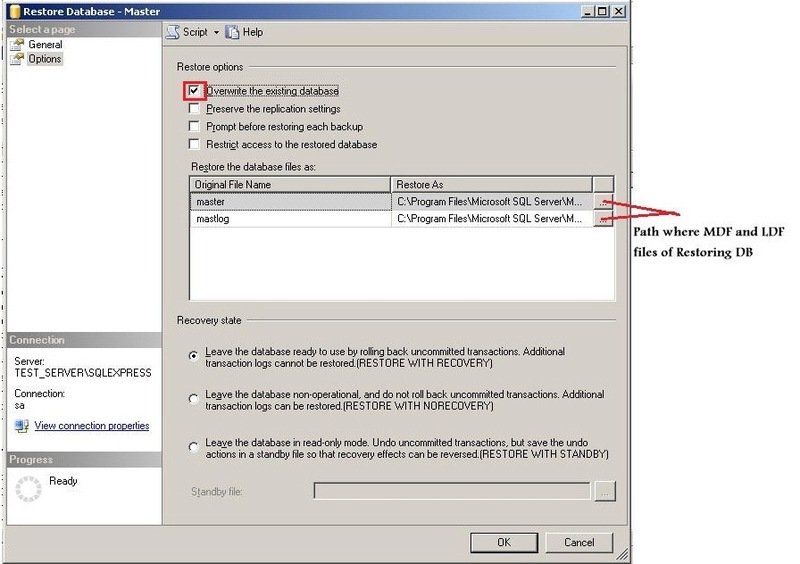 It connects to the database server and Microsoft Server Management Studio window refreshes (see Figure 2). 4. 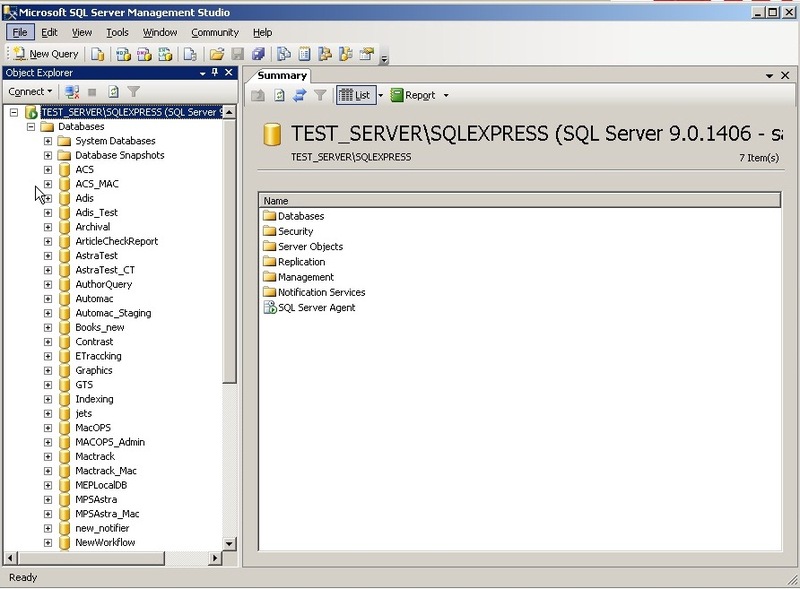 Expand Databases subfolder under Test_Server\SQLExpress folder (see Figure 3). 5. Right-click a database that you want to take a restore backup. A shortcut menu appears (see Figure 11). 6. 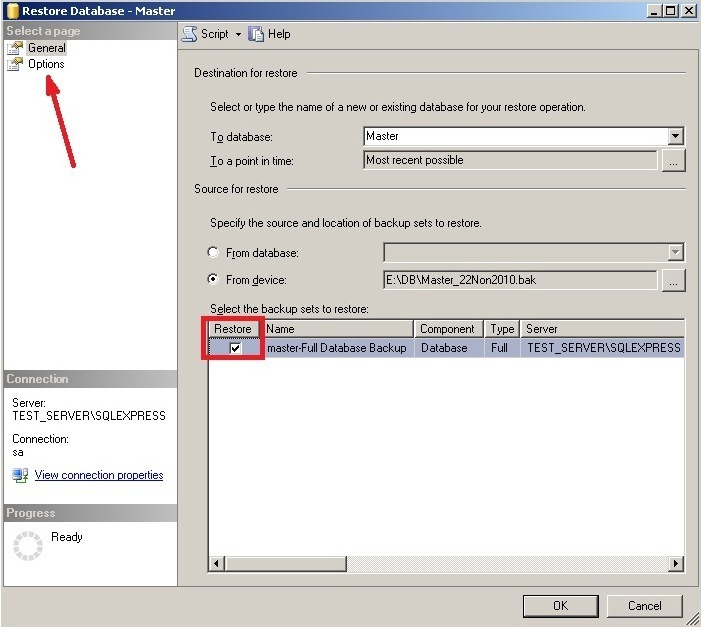 Click Tasks>>Restore>>Database… Restore Database dialog box appears (see Figure 12) displaying the selected database in To database list. 7. Click … button beside From device field. 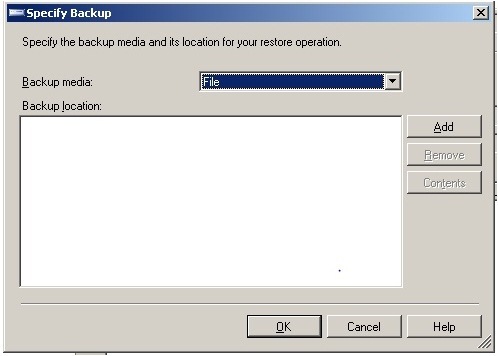 Specify Backup dialog box appears (see Figure 13). 8. Click Add. Locate Backup File dialog box appears (see Figure 14). 9. Browse to select a backup file. 10. Click OK. 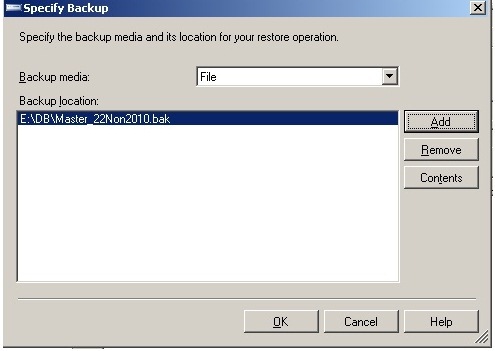 Specify Backup dialog box refreshes (see Figure 15) displaying the selected backup file in Backup Location list. 11. Click OK. 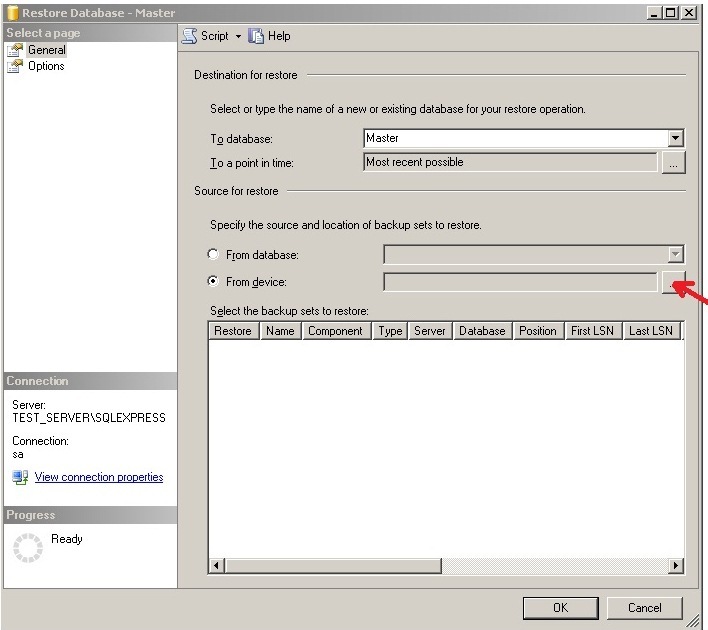 Restore Database dialog box refreshes (see Figure 16) displaying the selected backup file path with file name in From device field. 12. Select ‘Restore checkmark’ option marked in red colour. 13. 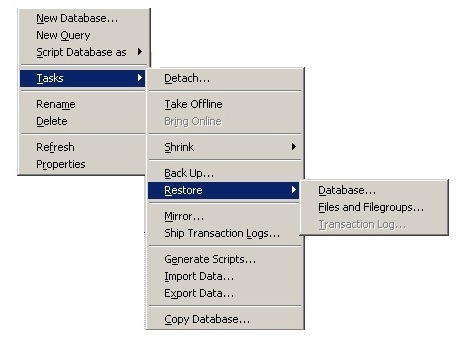 Click Options in Select a page section in Restore Database dialog box. Restore Options dialog box appears (see Figure 17). 14. Check ‘Overwrite the existing database’ option. 15. Click … buttons in Restore the database files list to select the backup file path with file name. 16. Click OK. A message appears (see Figure 18) to a user for confirmation after completing the restoring of the database backup file.